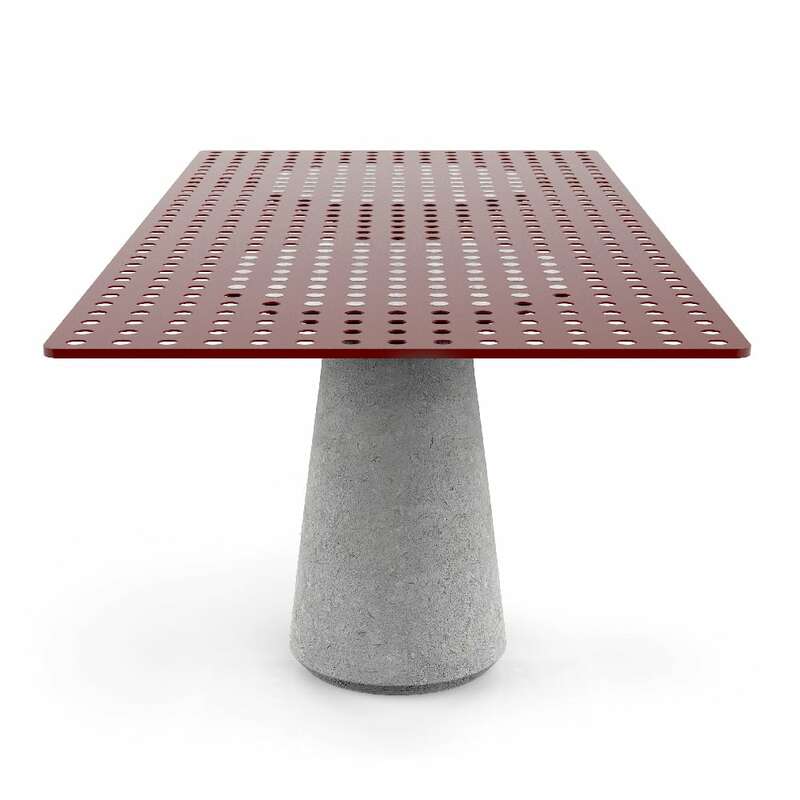 Oasi is a system of outdoor tables in Pietra di Vicenza and metal foil conceived by Odoardo Fioravanti for Laboratorio del Marmo. Fioravanti says: “I had in my mind the idea of stratification and sedimentation, of layer deposition of heterogeneous material. Then I thought how to have the stone emerge from the work surface in an unusual way by creating areas with different functions”. 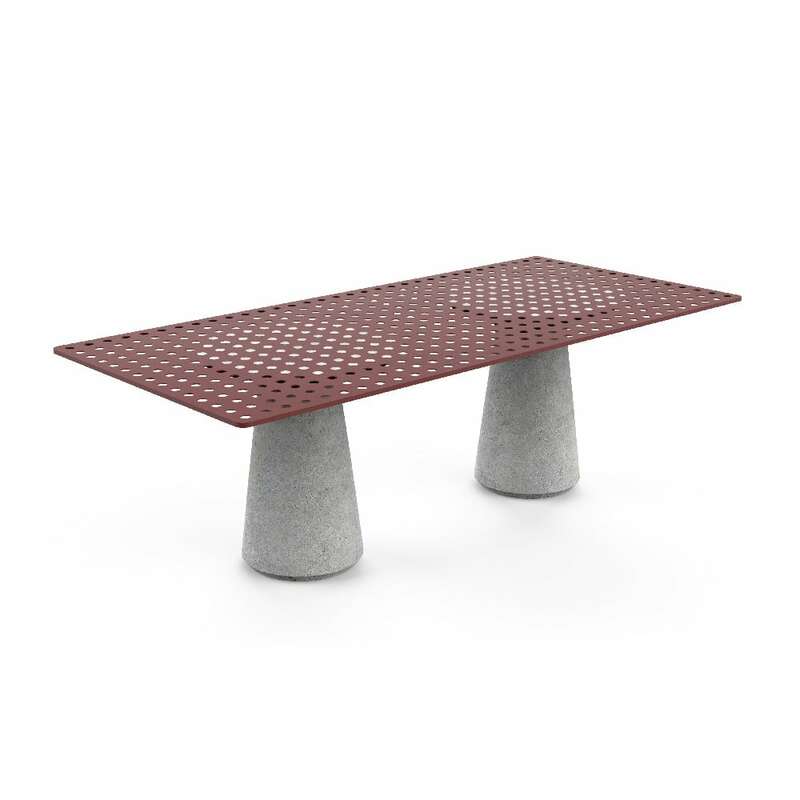 The collection consists in tables with different dimensions, rectangular and square, based on stone structural elements. Such elements, thanks to a game of joints, like children building blocks, support a fretworked top in metal foil. 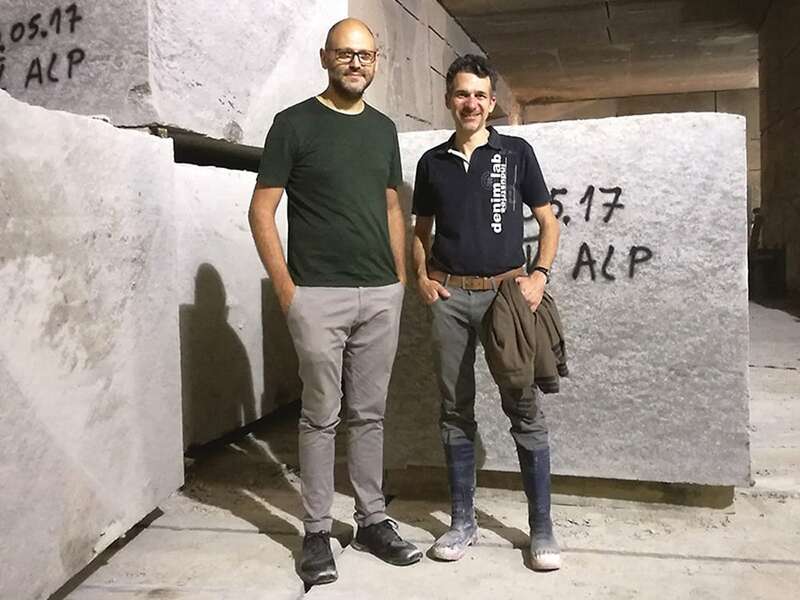 The bases are remarkable conic cylinders in Pietra di Vicenza coming from Grassi Pietre’s quarries. The upper part enlarge itself and trough the grooves, a sort of “knobs” and hooks together to the large top in metal foil. 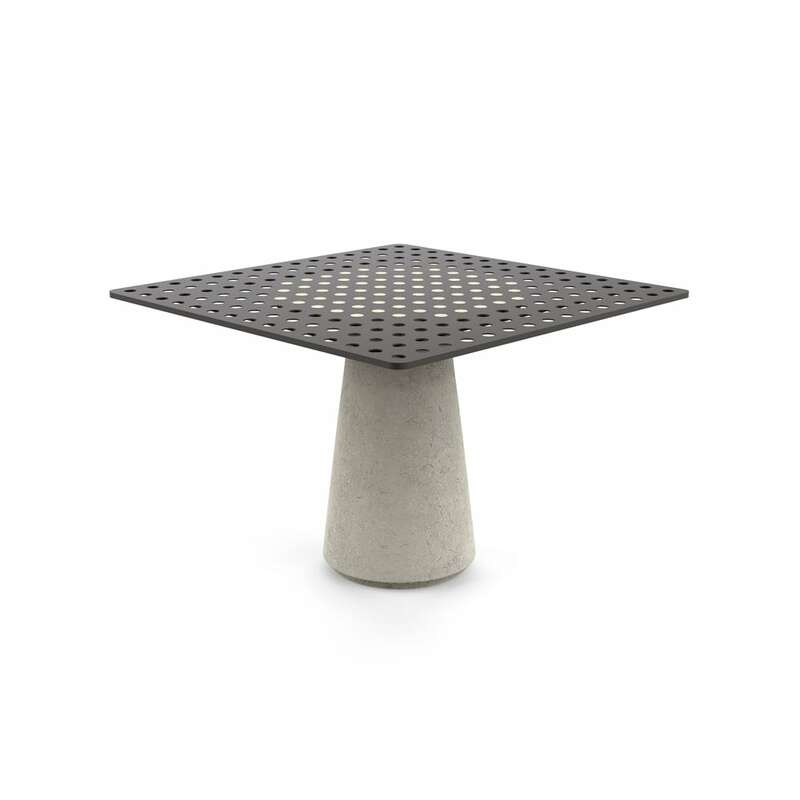 The stone seems to finely resurface form the metal as a soft substance and it creates some points on the tops suitable for table ornaments or even natural trivet. 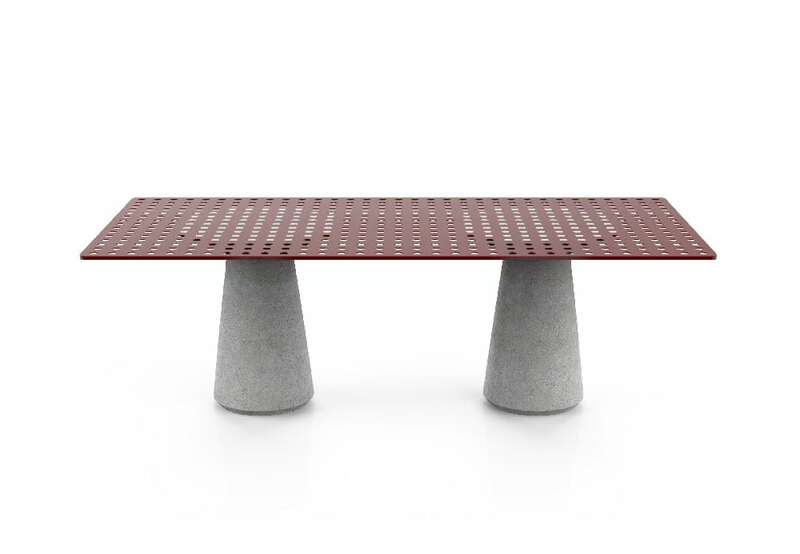 “Collaboration with designers is always interesting as they always search for the limit and new expressions for our materials” says Francesco Grassi. 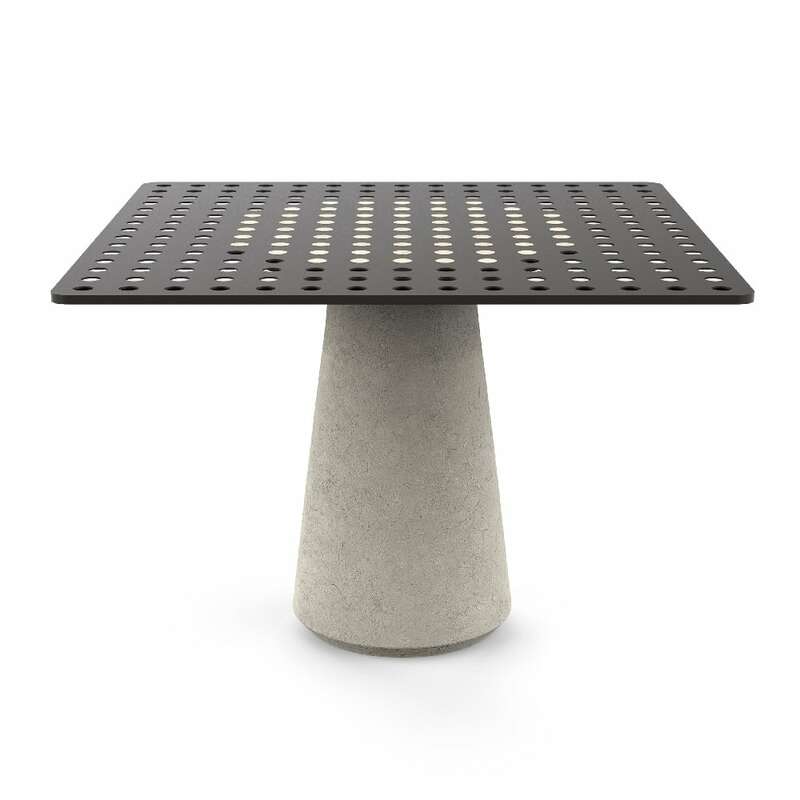 “Oasi represents a perfect mix between the austerity of the stone and the lightness of the fretworked metal foil. And thanks to a sheer effect the stone reveals itself with all its strength. A game of slots which have to be perfect to make the table standing and this is the true beauty and the simplicity of the tables calls back to the old joints made on columns and balustrades in stone to couple the architraves and the moulding of the buildings”.